Phase 1: This is the “Founder’s Pack” era of our game that we’re in now. Everyone in Alpha bought a back-stage pass so that they could hang with the band and influence their music. That’s what we’re doing together now, and it has been amazing so far. Phase 2: We start selling stuff. Not a lot of stuff. Basically, just resources and character outfits. This phase will happen in the latter part of Alpha. Outfits are a no-brainer, and we’ve all seen this kind of offering in other games. Currently, our progression game is limited by resources, so selling those resources may seem like we’re allowing you to pay for power. But our current game progression is not the intended real progression. Very soon, you’ll only need handfuls of resources to make picks and other tools. Phase 3: An ongoing phase where, as we add features, we also add time shortcut methods as well. This phase will be ongoing, but you’ll start seeing these features toward the end of Alpha. Phase 4: Launch Player Studio. At that point, all of our players can start submitting templates to the store and letting other players buy them. This should occur early during Closed Beta. Phase 5: Finally, at the end of Closed Beta, we add one more chunk of items. These are bigger-ticket items like cosmetic pets, sound/music packs for your claims, name/gender changes, extra claim flags, and more. Landmark is currently in alpha testing and is expected to arrive sometime in 2015. Everquest: Landmark also aism to satisfy the needs and expectations of past Everquest fans, as well as bring in some new players to the popular franchise. 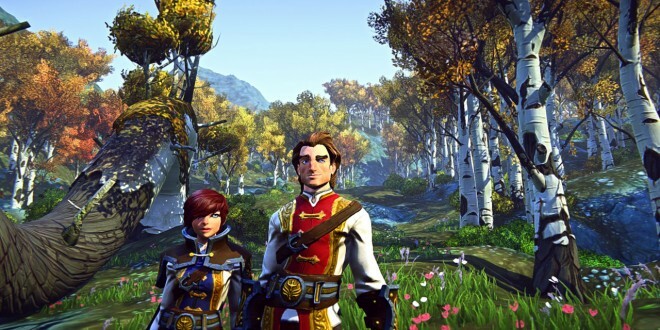 It seems there are multiple MMORPGs to choose from in the coming future.